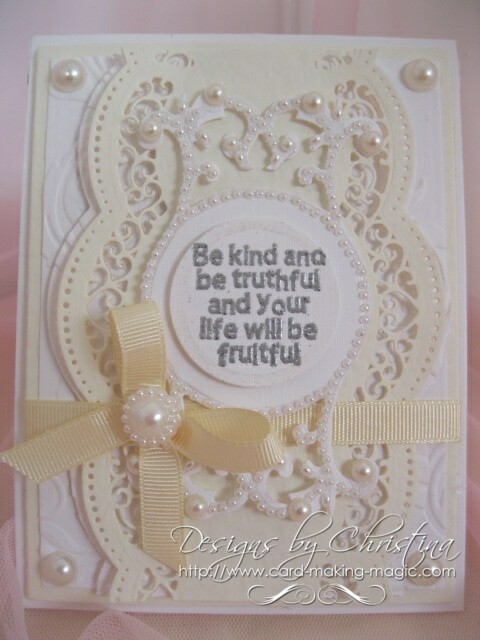 Another beautiful die from Spellbinders this A2 Scalloped Borders One can give you some really pretty effects. But it is also one of those dies that cause confusion and so this video will hopefully unravel some of the mystery behind how to use it properly. These dies are part of the Card Creator sets of dies and although it describes them as A2 they can be used quite easily on other card sizes. In the photo I have shown you both an A2 and a 5x7 card size so that you can see the big difference in them. The A2 on the left is the size that is favorite in the US as postage costs keep making the bigger cards to a minimum. In the UK we like to make bigger cards and use the 5x7 or larger for the base of our cards. But whichever size you prefer the outcome can still be stunning. Let the video show you how to use this set of dies and get the best results that you can to enhance your card. This is the A2 card and uses the die to create a panel that runs down the centre. 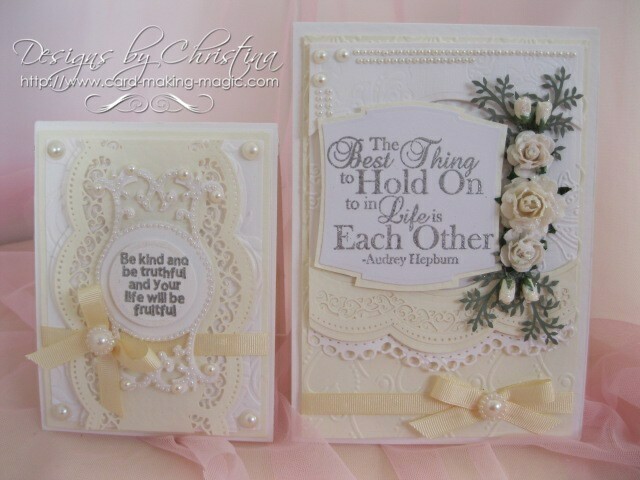 In the tutorial I have given you some options but the panel itself is very filigree and pretty and looks good on all your girly cards. You will notice that I have resisted the urge to add flowers on this card keeping it to the clean and simple look that some of you like. But it couldn't last long coz in the same tutorial ... out came the flowers .. and the ribbons ... and the pearls ... and the glitter. 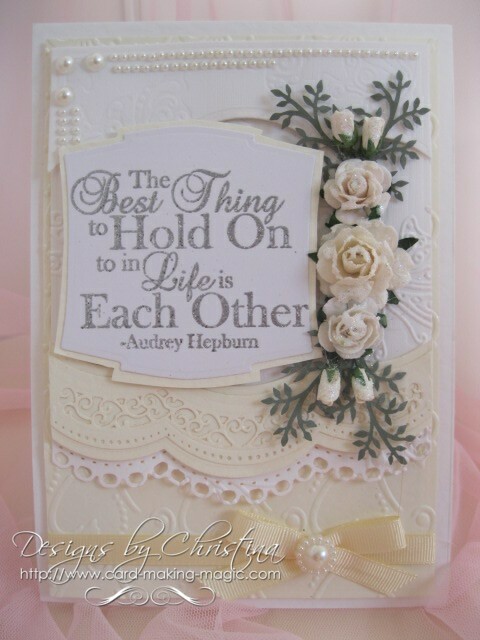 The A2 Scalloped Borders One has been used along the bottom of this card and again I have shown you options on ways to mix and match it. But I am sure you will agree that whichever way you use this die set the results can be just as pretty and elaborate as you wish. And you can have fun in the process of creating that lovely design.